The TomTom Spark is a compelling sports watch offering plenty of features for fitness fans. The results are accurate, with good distance tracking and very good heart rate monitoring, but the dependency on a PC feels a little backward. TomTom has diverged from personal navigation, seeing the company embrace sports devices in recent years. After an initial partnership with Nike, it stepped out on its own with the Multi-Sport and Multi-Sport Cardio sportswatches, the predecessors to this latest device, the Spark. The TomTom Spark comes in a number of different models, changing the feature set slightly depending on the model you choose. There's the entry-level Spark which is a GPS-tracking watch, then the Spark Cardio that adds a heart-rate monitor, the Spark Music that gives you storage for 500 songs, and finally the Spark Cardio + Music that does the lot. The Spark also has a sibling watch, the Runner 2, which is essentially the same thing, but marketed slightly differently for runners. Can TomTom challenge established brands like Garmin to win the sports watch race with its latest? TomTom has impressed us with design in recent times. So an in-car navigation device might not be the most exciting thing in the world, but the TomTom Bandit camera is really innovative and we see some interesting elements on the Spark too. The watch and the strap are separate sections, meaning you can pop the watch body out of the strap for charging, or to use accessories, like the forthcoming bike mount, or simply to wash the plastic strap. The watch body itself integrates the large four-way navigation button that sits on the bottom, offering similar navigation to previous sports devices, as well as the TomTom Bandit. It's housed in a curved part of the device which is also where the charger connects. In that sense, it's every inch an evolution of the TomTom Cardio predecessor. Rather than using some sort of magnetic system, charging the TomTom Spark means peeling off the strap and slotting it into the charger. It's a neat solution and connects securely enough. The strap comes in two sizes (small 121-175mm, large 143-206mm), and we found that with average wrists we can just about fit into the smaller size. There are a range of colours if you want to jazz things up a little. The buckle is another piece of neat design, giving a nice secure fit without being too fiddly. The Spark is also waterproofed to 40m. The Spark is a compact sports watch considering that it houses GPS and a heart-rate monitor - and that's a refreshing change from some of the bulky devices we've encountered before. Certainly, that might make the TomTom Spark appeal to those with smaller wrists, but the real story here is about ease of navigation thanks to that controller, and the clear hierarchical user interface that's sits within, something that TomTom seems to have mastered. Our biggest objection to the TomTom Spark comes at the very start of the process. There's a smartphone app, but to set-up the Spark you have to connect to a computer, which seems a little backwards. Once connected, you'll need to download the PC/Mac software and sign-up/in. This process then allows your Spark know who you are and you can then connect the watch to the smartphone app. After that point, you can do most things through the app itself, like viewing your stats and looking at your activity logs, as well as being able to do a lot on the Spark itself. So this isn't a totally independent device, you'll need a computer to get going, after which, you'll need to connect to a computer to run any updates that TomTom delivers. The TomTom Spark connects to your phone via Bluetooth and thereafter you can view your data through the app once it's synced, or via the MySports website. Pushing data over to Strava or other services is also possible, so you're not restricted to the company's own system. Unlike its earlier sportswatches one of TomTom's plays with the the Spark is towards the fitness and activity tracker market. This isn't just a watch for tracking your sporting activities, it's also designed to track your activity throughout the day. Like many activity bands, the Spark will keep track of your steps, letting you see how active you've been through the day, not just when you're at the gym or out running. There's a dedicated section of the watch to view these stats, with a quick scroll left to see the number of steps you've completed in a day or week. These are all handled by the "tracker" side of the Spark, and you can set the number of steps you aim to hit, or specify other goals, such as time, calories burned or distance. The Spark will also track sleep, meaning that you can have a full range of stats collected no matter what you're doing. Of course, that would mean that you'd have to wear the Spark all the time, every passing second, which might not fit the format: where it's easy to wear the Jawbone Up or Fitbit Flex all the time, it's less appealing to wear a sportswatch constantly. If activity tracking is of no interest to you, you can switch the whole lot off, leaving the Spark as a sportswatch only. One of the things we like about the TomTom Spark is that it supports a full range of activities. If nothing else, this allows you to categorise what you're doing, so you can tell what activity it was when you look at your data. There's the option for running, cycling, swimming, treadmill, gym workouts, indoor bike trainer/turbo training, and freestyle, which could be walking or hiking. There's also a regular stopwatch. Naturally, these different modes supply different data and use different features. Indoor training doesn't need the GPS, and knowing that you're walking not running helps keep those averages in check. The same applies to cycling, and there's the option to use a cadence sensor for your bike too, a £60 accessory, which is pretty reasonable. The information you're displayed is tailored for the sport type you're recording, such as lengths when you're swimming, whereas the gym workouts displays your heart rate over the duration of your session. There are additional settings for each of these categories. For example you'll need to put in the length of the pool you're swimming in, while on the bike you're prompted to provide the wheel size. Then there are a range of training options for the different sports. Many of these are the same, letting you set goals, or set a target at the start of your activity, perhaps a target heart-rate zone, intervals or distance or option to race. Race lets you specify a distance and a target time, with a number pre-set in the watch. The existing races include things like a 50-minute 10km, or 2-hour half-marathon, which seasoned runners might see as a little unambitious. Through the MySports website you can also expand these, so you can race yourself along a route you've taken before. There doesn't appear to be a way to programme in presets, it's basically a case of taking what TomTom provides, but with the option to set the time and distance to race on an ad hoc basis, if you have a specific target, it's easy enough to set. We've mostly used the TomTom Spark for running, where the smaller format of this watch compared to the Cardio makes it attractive. It's a good size and weight and we've found it comfortable to wear both throughout the day, as well as during activities. There's an optical heart-rate sensor on the rear, sat in a raised bump, which we've found makes for good contact with the skin. It seems to make for a better solution than some of the flat-backed models we've tried, and the results returned appear more consistent and comparable to those we get from a chest strap. That's good, because in our experience the TomTom Spark delivers heart-rate measurements accurately, without the fluctuation that we've experienced on some devices. When it comes to GPS performance, again, we've found the TomTom Spark to be good, measuring our distance run to within 10-metres of the Garmin model we tested it alongside, and close to the map-measured distance too. When it comes to GPS, however, the TomTom Spark relies on the connection to your smartphone to get things started (the watch itself does have GPS, this is just to speed things up). It uses a QuickGPS system, using the phone to update the watch's location to speed up detection of satellites. Once that's done, it will quickly detect your location and we found this took about a minute or so, before it will let you run. Without that QuickGPS update from the phone, the TomTom Spark takes much longer to detect your location. However, it's worth noting that if you're trying to track an activity, you'll have to wait for GPS to be detected before you can actually start. We wish there was a quick start option, allowing you to get running and then let the GPS tracking fall into place when it connected. Once you're doing your activity, you get plenty of display options too, meaning you can scroll through the information you want to see. The display measures 22 x 25mm, with 144 x 168 pixels. It's sharp enough and we've had no problems viewing it in a variety of conditions. In daylight it will be presented in mono, with a nice contrast so it's easy to read, and there's a backlight for those viewing in the dark. All in all, the performance is great and this is the experience you'll get on the Spark Cardio or this top model, the Cardio + Music. Naturally, the entry-level Spark model gives you most of the goodness and there's plenty of appeal in this £109 model for those simply after distance- and speed-tracking, without the extra hear-rate data, or in the Spark Cardio at £149 for those who do. At that price, the TomTom Spark is an attractive sportswatch for running especially, but also cycling, which is well supported. The battery life of your Spark is going to depend very much on what you're asking it to do. Wear it all the time, use 24/7 tracking, play music and record your long runs and it won't last long. We found that as a running watch we could get three or four runs before we felt it needed charging again. The compact size and the wide array of tasks means there's plenty to deplete the battery, which is something of a consideration, but it still performs better than the range of smartwatches out there wanting to jump on the sportswatch bandwagon. The other big addition is music (if you have the right Spark model anyway, as outlined at the beginning). Like Android Wear, TomTom is embracing Bluetooth music to give you a more complete solution. The idea is that you can connect to your wireless headphones and take your music on the run, without having to carry your phone or music player. The Spark Music and Cardio + Music come with 3GB of internal storage, which is about 500 songs. To add some spice to this feature, TomTom has hooked up with Ministry of Sound, pre-loading the Spark with a Running Trax mix. This is a great selection of uptempo tracks - perfect for running to. Outside of that freebie, there's the option to move your own music over to the Spark too. This is another area where the Spark's dependency on a computer comes into play. You can't sync music through your phone, it has to be from your PC/Mac. To make matters a little more complicated, you can't select individual tracks or albums, you can't use drag and drop, you have to sync playlists. That might mean you have to make custom playlists for the music you want, but at least the computer application will find this playlist and that makes it pretty easy to transfer over. You can then connect to Bluetooth headphones to play those playlists. Playlists can be selected when you start an activity, for example running. In the same way that you can set a distance goal, you can also scroll to playlists and select the soundtrack for your workout. It's worth noting that there are no music controls on the TomTom Spark itself. It will start music, but you have to stop it using the controls on your headphones. With that in mind, you'll need to make sure you're not going to hit a duff track when running, as you probably find you'll have to listen to the whole thing. There's also spoken voice feedback once you have headphones connected, so you know how you're getting on. This gives you updates and motivational feedback, such as telling you you're halfway to your goal, or that you're almost finished so you can give yourself a final push. It's a nice addition, saving you from constantly checking the watch and just letting you get in the zone, with your music, and push through. The TomTom Spark will share data with other services, such as Strava, but the system is a little backward. Rather than letting you sync data through your account in the app or on the MySports website, you have to manually upload it to the right account when you connect your watch to the PC app. This then attempts to upload in the information to another account, although in our tests it never arrived - but that might just be a local problem, as we know others have got this feature to work. Again, the dependency on the computer feels slightly out of place and just being able to push a few buttons in the app would be a lot more progressive. 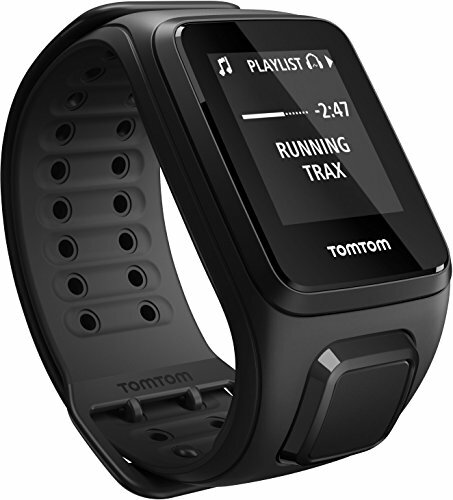 The TomTom Spark is a compelling sportswatch offering plenty of features for fitness fans. Importantly, we've found that the results are accurate, with good distance-tracking and very good heart-rate monitoring. The range of features offered, and the ability to expand the system to work with other accessories like a cadence sensor, makes this a flexible sports solution, but it doesn't have the wider ecosystem support you'll find from established rivals. The dependency on a computer connection makes the Spark feel like it's dragging its heels a little. Surely you shouldn't need to physically connect a device to a computer before it will work with a smartphone app in this day and age? But the TomTom Spark offers plenty. On this top end, the battery life suffers as a result of the compact size if you're going to use all the features, but nonetheless we're impressed with the accuracy and the range of features on offer.